Teens on Facebook: Ruby Karp, Mashable, and the anecdotal evidence problem. 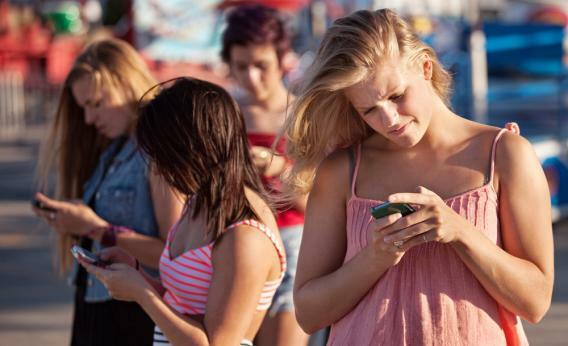 Teens aren’t using Facebook anymore, say a few random teens. In baseball, trend-spotting tends to be based on statistical analysis. In fashion, it’s driven by runway shows. And when it comes to social networks, the ascendant paradigm for forecasting the future seems to center on first-person anecdotes and unsupported hearsay from random teenagers. Earlier this year it was Josh Miller’s unnamed 15-year-old sister who drove the media conversation around the alleged decline of Facebook and the rise of Snapchat, Instagram, and Tumblr. This week it’s a post on the social-media blog Mashable by a 13-year-old HelloGiggles correspondent named Ruby Karp. Her post, headlined “I’m 13 and None of My Friends Use Facebook,” has garnered some 36,000 Facebook shares since it was published on Sunday. It has, predictably, launched a fresh armada of blog posts heralding the imminent fall of the great social network. That’s an interesting hypothetical. But—call me old-fashioned—I‘d prefer to draw data from a slightly wider sample than Ruby Karp and Josh Miller’s sister before drawing firm conclusions about the death of Facebook among teens. To be clear, I’m not saying that posts like Miller’s and Karp’s are without merit. When analyzing the prospects of billion-dollar companies whose fortunes rely in significant part on their cachet among young people, it’s great to hear from some actual teens now and then among all the middle-aged talking heads. But the sweeping generalizations which some media outlets were quick to make on the basis of Karp’s blog post left me wondering: Did they actually read it? Ah yes—the old “parents are ruining Facebook” problem. But wait a minute: If none of Karp’s friends are on Facebook, how do they keep managing to post such troublesome photos on the site? The contradiction is compounded when Karp goes on to lament that “Facebook is also a big source of bullying in middle school.” Kids might “comment something mean on a photo of you,” she adds, “or message you mean things. This isn’t Facebook’s fault, but again, it does happen there.” How middle school bullying happens on Facebook if no middle schoolers are actually using it, Karp’s post does not explain. When I asked Karp via email about the apparent contradiction, she told me the kids getting in trouble on the site are mostly older kids, while those in her age group don’t use it at all. I’m not fully convinced—I suspect Karp has a lot more friends on Facebook than she realizes, given a recent Pew study that found it remains by far the most popular social network among teens, even as others are gaining some ground. As Slate’s Amanda Hess put it, “Teenagers Hate Facebook, but They’re Not Logging Off.” That’s consistent with Facebook CEO Mark Zuckerberg’s recent assertion that the company’s own internal data shows the number of teens on Facebook holding steady over the past year-and-a-half. Facebook could go a long way toward defusing the “teens are quitting Facebook” narrative by releasing actual data to back up Zuckerberg’s claims, but it refuses to do so. The company, then, must take part of the blame for the media’s overreliance on cherry-picked anecdotes. Still, I’ll take a Pew survey over a first-person Mashable post any day. And besides, my 13-year-old nephew does use Facebook, and so do a bunch of his friends. But that doesn’t make for a catchy headline. My goal here is not to bash Karp, though. Indeed, in our brief email interview, the 13-year-old was careful to add a crucial disclaimer: “My experience is limited to where I live,” she told me, “and the people I go to school with.” Funny how the professional tech bloggers who ran with her story seemed to overlook that point.